Our economy and economic development over the past three months has been the subject of discussion, criticism, eulogy and also introspection. Economists have been analysing facts that have been emerging during this period and have been offering suggestions as to how the government, approaching the end of its term, needs to overcome apparent challenges. They are stressing different facets so that we can achieve more inclusive and sustainable growth. This chain of analytical perspective started with the World Ultra Wealth report published by the New York based research firm "Wealth-X". It grabbed the attention of most people in Bangladesh in the second week of September. It was revealed that Bangladesh had topped the list of countries that has had the quickest growth in the number of ultra-wealthy people between 2012 and 2017. It was indicated that that the number of ultra-high net worth (UHNW) individuals in Bangladesh rose by 17.3 per cent during this period. It may be mentioned that UHNW individuals have been defined as those people who have investable assets of at least US$ 30 million, usually excluding personal assets and property such as a primary residence, collectibles and consumer durables. Through this report, one got to know that in terms of percentage of wealth growth, Bangladesh, despite having a per capita income of about US$ 1,700, has been ahead of China, Vietnam, Kenya, India, Hong Kong, Ireland, Israel, Pakistan and even the United State. The economies covered in this survey account for 98 per cent of global GDP. It, however, needs to be pointed out that though the report recorded the USA as having weaker growth in its ultra-wealthy population, it has remained by far the leading country for UHNW individuals in 2017- accounting for 31 per cent share of such individuals in the world. Analysts have subsequently pointed out that the report used econometric techniques that incorporated a large number of national variables such as stock market value, GDP, tax rates, income levels and savings. The details were apparently gathered from sources such as the World Bank, the International Monetary Fund, the Organization for Economic Cooperation and Development and national statistics authorities. This aspect helped to generate a degree of credibility in matters related to the creation of the new class of parvenus as depicted in the report. People in general have noticed for sometime the effects of gradual increase not only in per capita income but also the creation of the upper-middle class in this country. It has been leaving its stamp in the diversification and marketing of up-market articles within the local arena, the successful use of e-commerce, the steep rise in purchase of cars and motorised vehicles, in the undertaking of tourism abroad, in enabling parents to assist their children in undertaking higher education abroad, in enabling many to seek health care abroad and also in the gradual and massive increase in land prices and that of apartments for sale in the housing sector. This is having its own impact within the rural as well as the urban communities. This has partially been possible not only due to the sustained and continued inflow of remittances from our expatriate workers community, but also due to the impact of our apparel sector as well as our other expanding export sectors like leather, jute and pharmaceuticals. It is such an enhancing dynamics that has resulted in imported fruits like apples, grapes and pears being sold in the smallest village markets. Another example of the growth in disposable income has seen massive growth in the consumption of protein in the form of eggs, fish and poultry. It would be interesting to point out here that a survey carried out by the Bangladesh Bureau of Statistics (BBS) in 2016 revealed that income of five per cent people in the country (about 9.0 million) had increased by about 57 per cent compared to 2010. Their monthly income at that point stood at around Taka 88,941. However what is worrying analysts and economists is whether such economic development is creating a bigger gap among the population. Bangladesh, it is clear, is moving forward in the path towards economic development- in the creation of infrastructure, in better healthcare and educational facilities and also in arranging suitable communication networking. We have proven ourselves through the fulfilment of the MDG goals and are now trying in a coordinated manner to achieve the SDG goals. We, however, continue to lag behind in our banking sector. This continues to increase anxiety and is impacting on our country's branding both at home and abroad. This is also affecting the potential of investment within our country. Our finance minister's disclosure in the Jatiyo Sangshad on September 12 about the prevalence of bank default within Bangladesh has raised many questions within the population. It has also affected among many their support for the government. Referring to Bangladesh Bank's latest Credit Information Bureau (CIB) data base, the minister drew attention to the fact that at present, the number of bank loan defaulters in the country stood at 230,658 and the amount of default loans, according to the CIB had reached Taka 1,316 billion- almost one-fourth of the national budget for 2018-19 financial year. The minister also placed before the Jatiyo Sangshad a list of top 100 defaulters. It was also disclosed that 88 banks and financial institutions have loans in default. According to that list , the amount of default loans in government banks was- Taka 186.62 billion (18, 662.97 crore) in Sonali Bank, Taka 148.40 billion in Janata Bank, Taka 92.84 billion in Agrani Bank and Taka 49.01 billion in Rupali Bank. In addition, there are loan defaults in a big way in BASIC Bank, National Bank, South east Bank Ltd., in Islamic Bank Ltd., and also in Prime Bank Ltd. These revelations have drawn the immediate attention of lead Bangladeshi economists and others associated with good governance in the financial and corporate sectors -- both in the public as well as the public and private domains. In the recent past, there have been several references to industrialists and entrepreneurs not only avoiding paying tax, falsifying import financial papers but also continued presence of corruption in the socio-economic sectors, particularly in the public sector. The government and the National Board of Revenue have been trying to reduce this through digitalisation but the osmotic effect of corruption still continues. The day the World Ultra Wealth (WUW) report came out, many critics observed that this was proof of all the wrongdoings they had been talking about. The economic development achieved by the current government also came under fire. They also pointed to the finance minister's observations about the bank default paradigm and suggested that this was also co-related with the ultra wealth report. Since then there have been special seminars and workshops on the continuing economic progression in Bangladesh, the existing challenges and how to overcome them. It has been pointed out that inequality has been on the rise over the past few years and this has partially been as a result of lack of accountability. The massive growth in bank default was also contributing negatively to the evolving economic scenario. In this context, some analysts have noted that if the government does not mete out punishment to corrupt persons and institutions, then corruption will be further encouraged. In this regard, it has also been mentioned that those who were defaulters or involved in smuggling money out of the country through false documents need to be tried in the court of law. This needs to be done to ensure public interest. Dr. Zahid Hussain, lead economist of the World Bank in Dhaka, also indicated that this fastest growing ultra wealthy trend over the past five years does not go with the country's current efforts towards achieving certain sustainable development goals. Instead, according to him, "it was damping the implementation of inclusive growth" within our economy. He also pointed out if there is a continuing trend amongst some to earn wealth through corruption, monopoly business or by exploiting others, it would eventually affect the country's gross domestic product. One has to agree with such an assumption. Nevertheless, we also need to look at the other factors that generate optimism about our economic development in the future. There is the question of integrated connectivity that can definitely bolster the trade equation within South Asia. Right now growth in this sector is faltering because of high duties. Addressed properly, we might be able to achieve the necessary breakthrough. 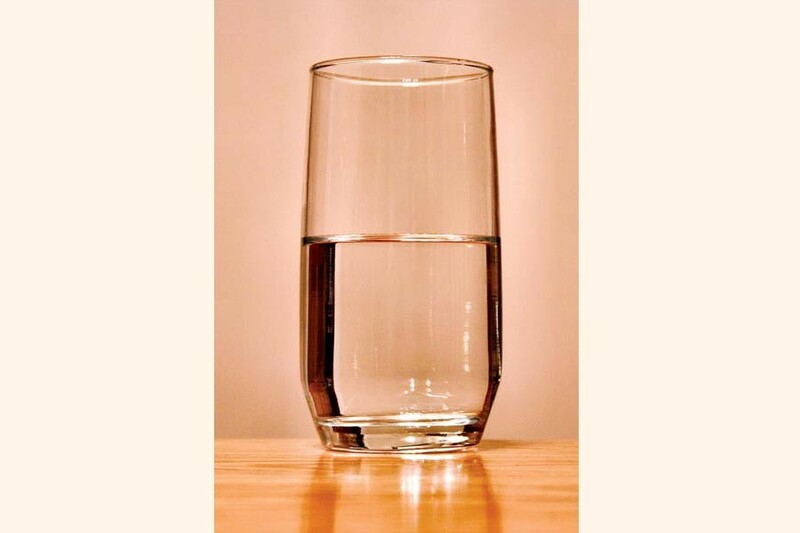 It would be incorrect to characterise the glass as being half empty as far as our economic development matrix is concerned. The World Bank Human Capital Index (launched during the World Bank-IMF Annual Meeting held in Bali, Indonesia) revealed on October 11, 2018 has underlined that Bangladesh has outpaced the South Asian average and the lower middle-income average in all criteria, except for stunting (impaired growth in the development of children) in the first Human Capital Index (HCI) prepared by the World Bank. In terms of ranking Bangladesh was ahead of India and Pakistan within the list of 157 countries. Sri Lanka topped the list among the South Asian countries. The index reflects the productivity as a future worker of a child born today, compared with what the child could have been after his birth years ago. In this regard, emphasis has been given on full healthcare access and complete high quality education. These two conditions have been considered to be important for achieving the full potential. Bangladesh being ahead of India and Pakistan suggests that we have potential that needs to be carefully managed particularly in the context of vocational training. The role of women and their empowerment in this regard is also bound to facilitate Bangladesh's journey towards improving productivity and poverty reduction. This will also directly encourage foreign companies to think about participating in our endeavour through foreign direct investment. That will create employment and ensure better branding of our country abroad. We also need to remember that creating instability within the body framework of the country, because of political rivalry, will harm the citizens whose vote the politicians are seeking. People's interests must always receive priority and come first. We have come a long way over the last decade. Let us not mix our directions now. Let us all work together for the future prosperity of Bangladesh. Muhammad Zamir, a former Ambassador, is an analyst specialised in foreign affairs, right, to information and good governance.